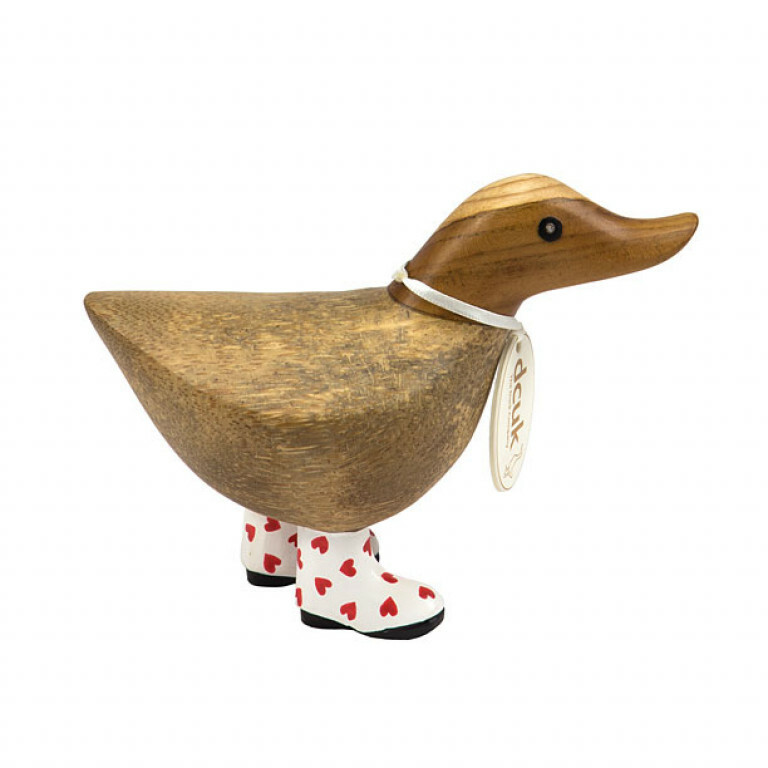 Natural finish welly ducklet - standing approximately 30cm high, with red hearts welly boots. Hand carved, with a randomly selected name and name tag (unless requested) and the choice of a gift box. Please note, all text on tags is in lowercase only and the bags are designed to have the duck's head peeping over the top. Please only state a name if you have chosen "Choose your own name".